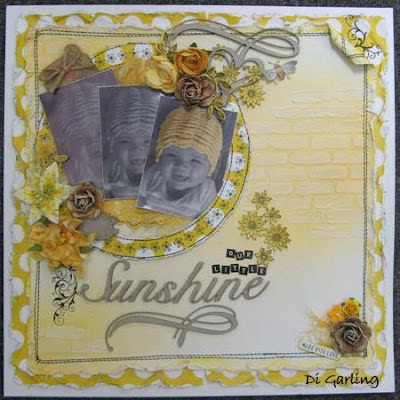 Di's Scrapbook ShopJust-FabuliciouswithKirsty Kitchener : "Sunshine"
At my shop at The Entrance we sell loads of gorgeous 2 Crafty chipboard like these pieces & much much more. Thats all for today, over the weekend I will post the pics of our current "Page of the Month" challenge. Wait till you see what all the girls have done. They look amazing!!! Best ever.